Every minute that you spend on a project is worth a lot. After all, your time is valuable, and that’s one of the reasons it’s so frustrating when you put a lot of time into a survey only to find out that you are not eligible to receive payment. 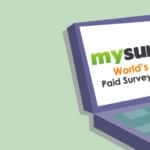 This kind of frustration is common when using sub-par survey sites, but how are you to know which ones can help you make good side money without these frustrations? Looking for user-based reviews of the most popular survey sites can definitely help. Today, we’re discussing Ingather Research. Learn more about this survey site and whether or not it is right for your needs. Ingather Research is a market-based research firm that is located in Denver, Colorado. In addition to doing in-person study groups at their sites in Colorado, they also run a number of surveys and focus groups online. They are constantly recruiting for more people to join their surveys as well as for more clients to work with. This company is known for more than just hosting surveys online, and they are even nationally recognized for how good they are at what they do. But what matters to you as a survey client surveys, so let’s take a look at their survey work. When you head to the Ingather website, you’ll find more information about their local business than anything else, but you can easily enter the portal to sign up to be a panelist. Once in their panelist system, you can browse studies you might be eligible for. You will also receive emails when they would like to request you join a study or focus group. Questions about these topics are very commonly asked by survey sites so that they can get a grip on what type of surveys to share with you, and also help you find the right surveys more quickly by filtering out those that you will not be eligible for based on your responses. You may find that you are not eligible for a number of surveys on this site that you might be able to get into on other sites. That is because Ingather Research has a very high standard for which respondents it invites to respond to survey. As a market research firm, they are very careful to choose the perfect audience for every survey, which may sometimes exclude you. Ingather Research is a very reliable payer as well. In both their in-person work and their online research study work, they always pay the amount promised and very quickly. They are able to do this because of how well organized and thorough the business is. Any problems you run into can be easily worked out with the company. Depending on the area that you live in, you may or may not be contacted often by Ingather. If they have many clients seeking opinions like yours, you’ll find yourself making a good bit of extra money. Otherwise, you might find that you are not getting offers very frequently. Overall, the reports from users about Ingather are overwhelmingly favorable. It is worth noting, however, that most of those reports are for those who visited the Ingather Research office in person for a taste test or research study. There, everyone was met with prompt meeting times, professionalism, and quick payment. There is less information available from users about their online experiences with Ingather Research, but a company with such a great reputation is sure to do every aspect of their business well, so this is not too concerning. Overall, users seem to agree that this professional company is a reliable one that will keep the group in the coming years to be one that we all come to know and love. Overall, Ingather Research can definitely be considered to be a very reliable company that is there to over interesting and well-paid opportunities to those who are hoping to make some money through research and survey. Still, let’s run through the pros and cons. There is no doubt in our mind that Ingather Research is a reliable company that offers unique, fun, and well-paying opportunities to those who register for their surveys and groups. The biggest issue you may run into with them is a lack of opportunities, but the opportunities that they do offer you are sure to be worth your while. If you are located in the Denver region, it is definitely worth giving their focus groups a try as these in-person experiences are very interesting and pay on the spot.